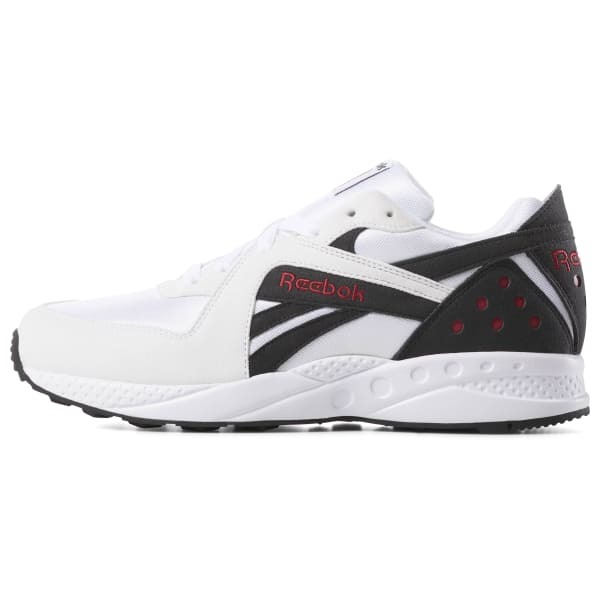 A blast from Reebok's past. 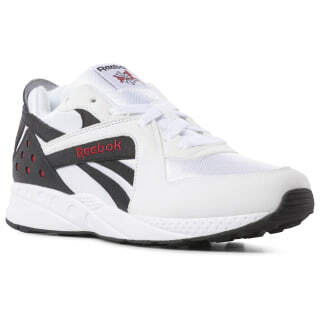 Break out your crinkly nylon track suit, because these shoes are a true one-to-one rerelease of the original 1992 Pyro. Same materials, same colors, same exact everything. Comfortable Hexalite cushioning gives a true-to-the-era feel. The old-school "Running Man" graphic stands out on the tongue.